Today we have an interview with Romance Author Soraya Lane we would like to share with you. 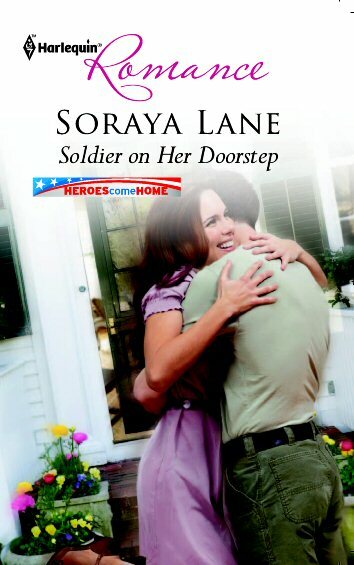 Soraya Lane is also giving away a copy of her book, Soldier on Her Door Step & The Army Rangers Return to one lucky person. Enjoy! SL: I've been writing for as long as I can remember. As a little kid I wrote stories about dogs, horses and adventurous kids and proudly gave them to my teacher to read, and as a teenager I wrote about witches, before moving on to darker poetry. When I left school to go to university, I stopped writing for a short while, but on holiday with my boyfriend (now my husband) he asked me what I'd do, if I could do anything in the world, as we were walking along the beach. I told him I'd be an author, and he asked me why I wasn't. I started writing again soon after, and the rest is history! Although it took me 10 full length manuscripts and a solid five years before I sold to Harlequin. 2. Have you written any other books besides the two I mention in my review? SL: I only have two published books, but I do have another scheduled for release this year in the US - Rodeo Daddy in November. Then, Back in the Solder's Arms is out in the US in March. Both of those books are with Harlequin Romance. I also have a young adult manuscript I'd love to see published one day, and I'm currently working on a single title contemporary romance too. SL: It's not necessarily a message, but in both my published books, I wanted to illustrate how tough it can be for a soldier to return from active duty to civilian life. 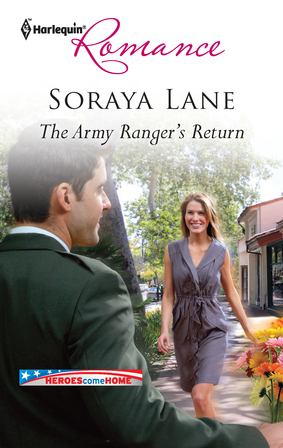 In The Army Ranger's Return, Ryan struggles with his life in the "real world", but he's an incredible soldier and wants to get back with his unit. I like that he slowly realizes what a full life he can have as a civilian, and how important the relationships in his life at home are. 4. Are your book based on someone you know, or events in your own life? 5. What was the hardest part of writing your books? 6. Who is your favorite author and what is it that really strikes you about their work? SL: Tough question! I can't pick one, but some of my favorites are ... The Wilderness series by Sara Donati; Nalini Singh and Rachel Vincent for paranormal; Nora Roberts for single title romance; Natalie Anderson, Patricia Thayer, Donna Alward and Karina Bliss for category romance; Harlan Coben for crime/thrillers; and I loved the Bronze Horseman by Paulina Simmons and, dare I say it, the Twilight series! I read a lot, or at least I used to before I had a child, and I appreciate a diverse range of books and authors. I think the one thing that strikes me in any book that I love is the way the author builds their characters. For me it's all about finding a connection with the main character. 7. Are you reading anything now? If so what book are you reading? SL: I'm actually between books at the moment, but the last book I read was Kiss of Snow by Nalini Singh. I loved it! Next on the list for me to start is Louise Bagshawe's latest. Thank you Soraya so much for taking the time to answer our questions. One lucky person will win both copies! You can help promote this giveaway any way you'd like, just leave your proof in the comments. Some ways you can promote are, FACEBOOK, Twitter, etc. +1 for each one you do. Hey there! Would LOVE to win. Thanks so much. Please enter me as these sound like good reads. Thanks for the giveaway! Great interview! I never read books about soldiers, but I really want to have the chance! I would love the chance to win! I love romance books! Hi, great giveaway Thank´s for making international. Sims like interesting author. Heres hoping the next stories you submit have an easier ride! Awesome giveaway!!!! 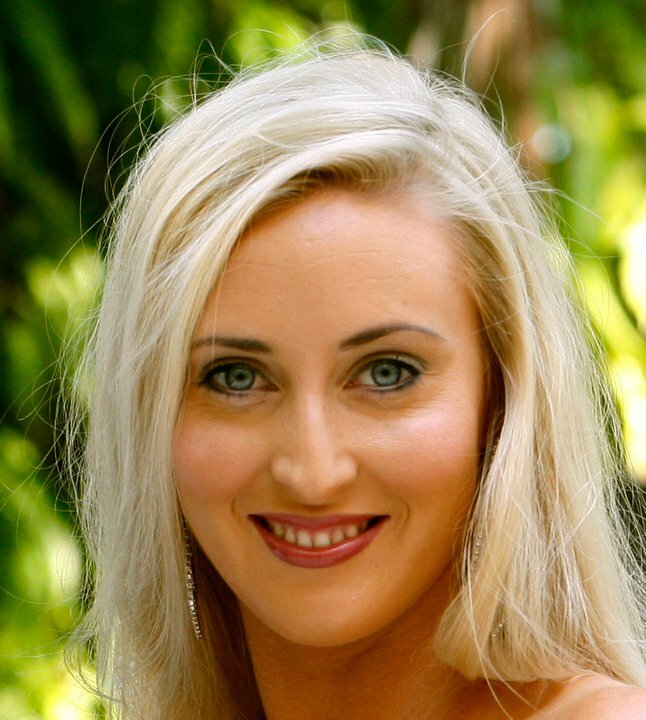 Great interview with Soraya Lane.